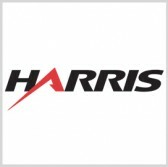 Harris will offer its electronic warfare systems to Asia’s air forces as it sees geopolitical issues as factors that will drive regional interest in EW, FlightGlobal reported Monday. The report said Harris will promote its Advanced Integrated Defensive Electronic Warfare Suite, which can be integrated with Lockheed Martin’s F-16 aircraft or kept in a pod for legacy planes. Harris expressed interest in both new F-16 deals and modifications, the report added. Andy Dunn, vice president of business development for electronic warfare at Harris, stated that there is a need to establish interoperability and consistency in EW function among coalition aircraft, as well as ensure that EW will not be used when there is conflict with coalition forces. AIDEWS is based on the American firm’s ALQ-211 system and is built with a modular architecture to support various mission requirements.